When it comes to hiking, there are few places better than Patagonia. There are tons of easily accessible day-trip or multi-day hikes, like the W Trek in Torres del Paine, that are relatively easy for most people and feature some absolutely stunning vistas. 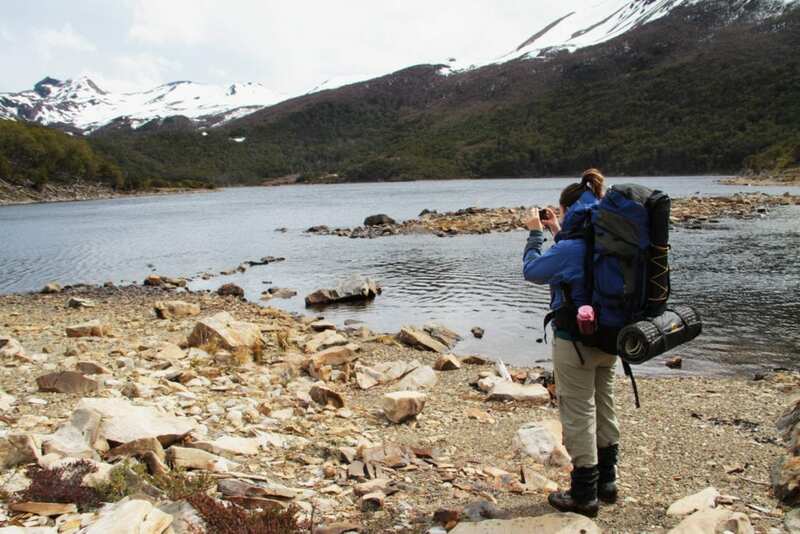 And for trekkers who want more of a challenge, there is plenty to choose from, like the O Trek (which connects the two ends of the W Trek going around the entirety of the Paine Massif) or the Huemul Circuit that is not for the faint of heart but the views and thrill of remote trekking are well worth the challenges. But with so many well-known treks, there come problems: namely, overcrowding. Everyone wants to hike the same trails during the same time of the year when the weather is best, so hiking paths and photo-op spots in popular national parks during high season become less of an “escape into nature” experience and more of a “standing in line at a theme park” experience. But as more people are going to Patagonia to discover its natural treasures, more of its lesser-known but equally spectacular treks are starting to come to light and get more attention, offering respite from the crowds, little-to-no tourism infrastructure, and views that will knock those sweaty, grimy hiking socks off. 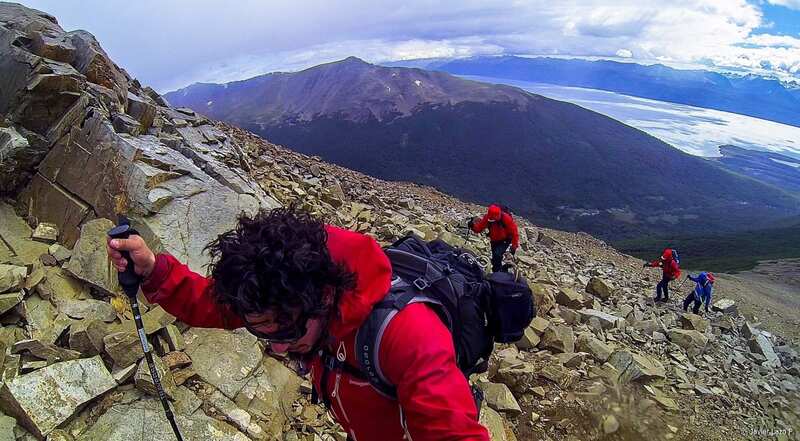 And no trek exemplifies this better than the Dientes de Navarino trek. 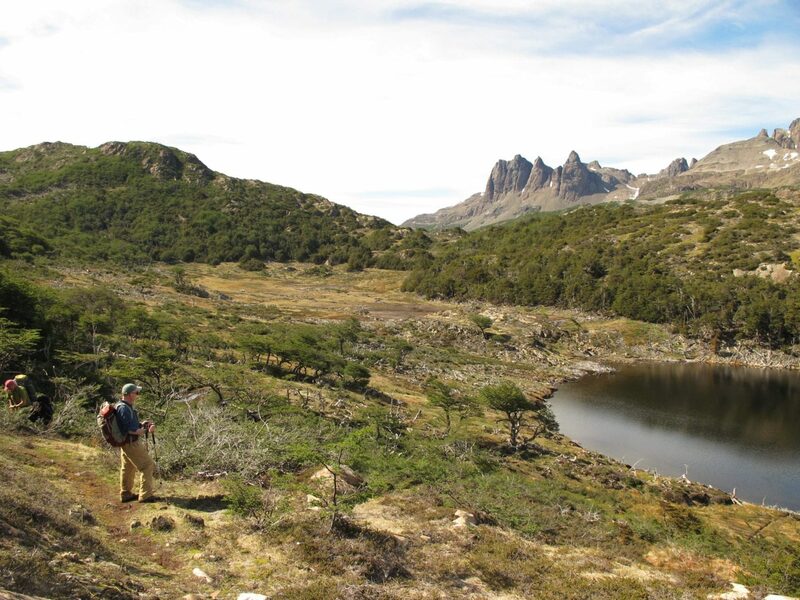 The Dientes de Navarino Trek is a multi-day trek that takes hikers deep into the heart of the Dientes mountain range of Navarino Island, traversing valleys, marshes, rivers and lakes, peat bogs, forests, and windy high mountain passes. The isolation and lack of shelter or basic infrastructure like bathrooms or campsites makes it a truly rugged, outdoorsy experience, perfect for people who love roughing it in the wilderness for days at a time. The trek is also famous for being the “southernmost trek in the world”. 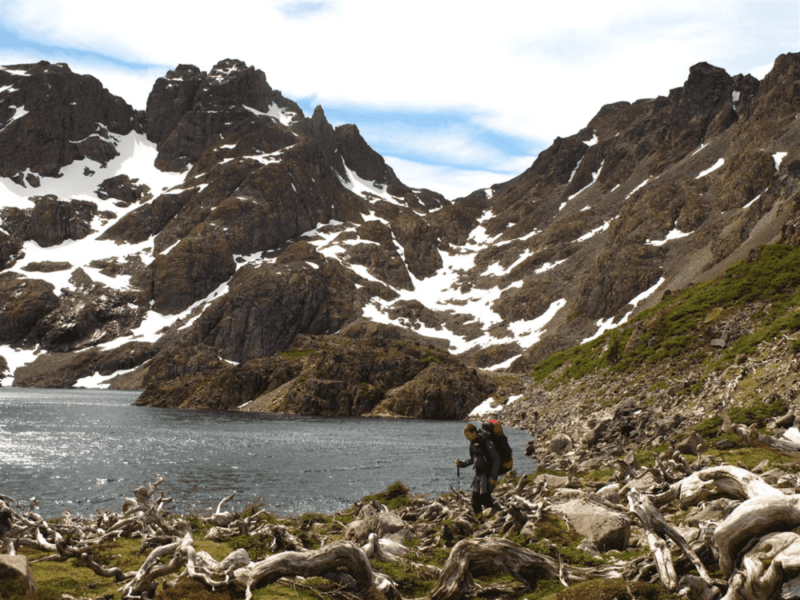 The Dientes de Navarino trek is located on Navarino Island in Chilean Tierra del Fuego, the southernmost part of the country that is primarily made up of islands, channels, and fjords. It’s separated from mainland Argentina by the Beagle Channel, and from the topmost peaks on the island you can see all the way to the waters and islands around the notoriously treacherous Cape Horn. The island is also home to Puerto Williams, the most southerly town in the world. Aside from the opportunities for hiking and outdoor activities (like the Magnifying Glass Tourism Initiative at OMORA Ethnobotanical Park, where visitors use magnifying glasses to discover the island’s world-class varieties of mosses, lichens, and liverworts), many visitors also come to Navarino Island to learn more about the Yaghan tribe. This indigenous group were hunter-gatherers and mainly traveled by canoe; their spoken language was incredibly complex, and missionary Thomas Bridges compiled a 30,000 word dictionary of the Yaghan language. Artifacts, photos, and more information about the Yaghans (many of who were wiped out by disease and contact with European colonizers) can be found at a museum in Puerto Williams, and on the far side of the island there is a bay where a particularly bloody encounter with British colonizers took place. There is still a small population of Yaghan that live on the island, including the last known speaker of their language, Cristina Calderon. The trek itself is 53.3 km (33 miles) and most people do it in around 4 days/3 nights, although some hikers prefer to do 5 days/ 6 nights, allowing them more time to enjoy the landscape and go at a leisurely pace. Scheduling for a longer trek also allows for variation in the weather, in case there is a bad weather day and the day’s hike needs to be delayed for another day until the weather improves. What level of difficulty is it? Due to the extreme terrain, the unpredictable weather, the long days on hilly and uneven ground, and the not-easily-identifiable path (there are markers but they are few and far between), this trek is considered very difficult and only experienced trekkers are encouraged to try it. But one can prepare and train in advance to do this trek by building up your stamina, because the experience of hiking through a virtually untouched mountain range and seeing landscapes that few people have seen is worth the effort. The best time of year to go is during the Patagonian summer season, which falls between the months of December to March. But even in summer the weather can be unpredictable, with high and chilly winds, quick changes from rain to sunshine, and very cold nights. The fastest way to Navarino Island is by plane from Punta Arenas on the Chilean mainland. But if you really want to appreciate the beauty and sheer scale of these meandering channels and verdant islands at the bottom of the world, you can also charter a boat. If you’re coming from Argentina, there are zodiac and boat rides from Ushuaia, which is right across the Beagle Channel from Navarino Island. What kinds of things will I see on this trek? Naturally, you’ll see some unbelievable landscapes. The Dientes Mountains are so named because their jagged peaks resemble teeth (and “dientes” in Spanish means teeth), so you’ll see these amazing spires themselves, as well as Mount Codrington and Mount Lindenmayer, named after Clem Lindenmayer, a climber and writer for Lonely Planet who was the first to do this trek in the 1990s. 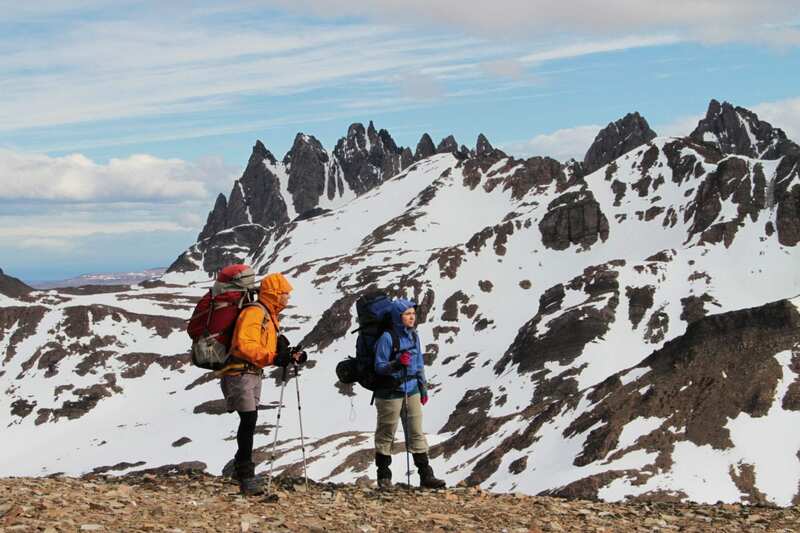 From the highest points along the trek, like the summit just past the Virginia Pass, you’ll be able to see the Beagle Channel, Nassau Bay, Ushuaia on the mainland, and the channels, islands, and ocean of Tierra del Fuego. 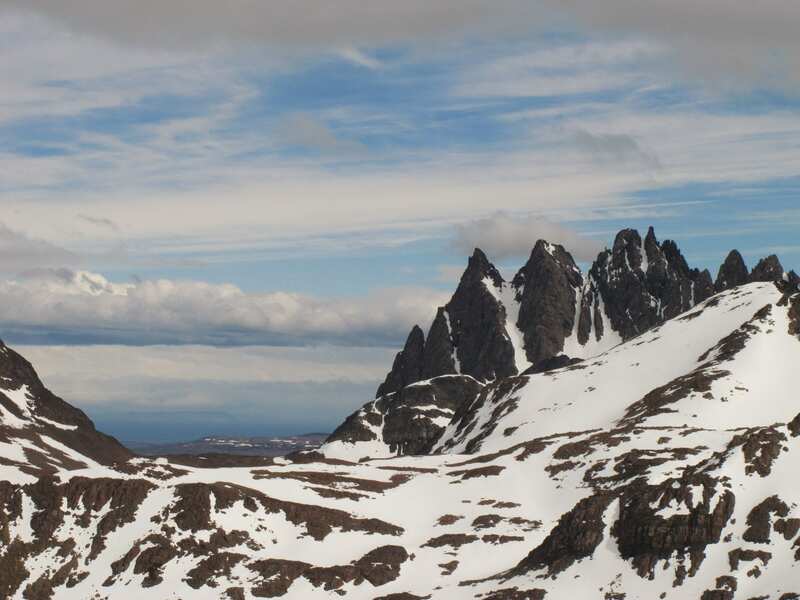 In addition to these toothy peaks, indented skyline, and top of the world views, you’ll also be seeing deep valleys, Magellanic forests, peat bogs and marshes, and pristine high mountain lakes and rivers. In the forests, it’s a great place to examine the island’s “miniature forests” of lichens, mosses, and liverworts, some species of which are wholly unique to the region and can’t be found anywhere else in the world. As far as wildlife, you’re likely to see seabirds and maybe, if you’re lucky, one of the island’s less-popular inhabitants, beavers (who were brought to the region in the 1940s and have decimated the landscapes through their logging and damming). The channels and nearby Drake Passage are also great places to see marine life like dolphins and migrating whales. You’ll need to bring standard hiking gear like good, sturdy hiking boots, layers of warm and waterproof clothing, warm hat, sunglasses, sunblock, backpack, etc. A good camera to capture those amazing views is also recommended. All camping gear — like tents, sleeping bags, camping stoves, and food — will be provided by EcoChile Travel. Why do I need to book a tour to do this trek? Due to its isolation, lack of signage and standard hiking accommodations like well-marked campsites or bathrooms, and the extreme and unpredictable weather, it’s recommended that only the most advanced hikers go this trek alone. By doing the trek as a tour booked with EcoChile, you’ll be traveling with an experienced guide who knows the terrain, and all the travel arrangements, which can be difficult to get organized due to the remoteness of the area, are taken care of for you, so all you have to worry about is looking forward to an amazing trek! Why should I do this trek? While this trek is a challenge, the views you’ll see, the diversity of landscapes you’ll encounter, and the sense of achievement from taking on such a difficult trek in such an extreme part of the world are unparalleled. Plus, by traveling with an agency like EcoChile Travel that takes care of all the logistics for you, you can just focus on enjoying the trek and making memories of scaling mountains and traversing pristine landscapes at the bottom of South America. 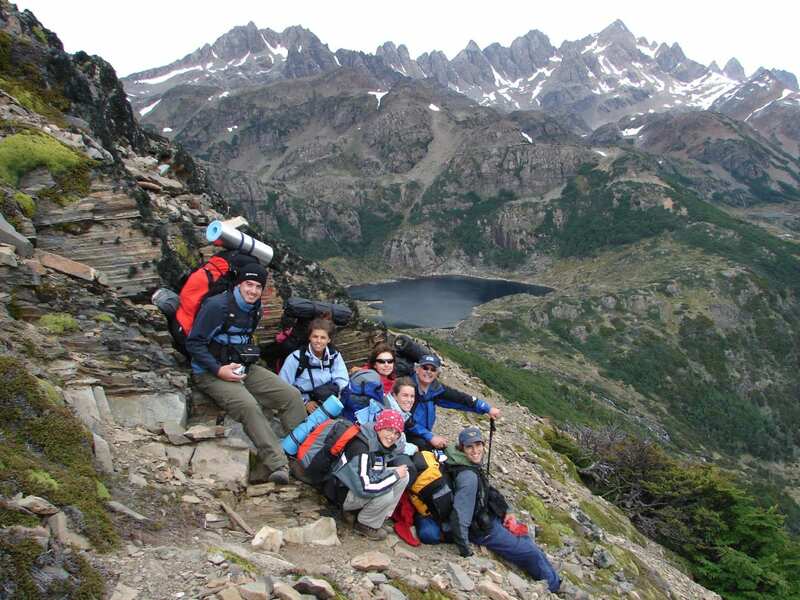 Want to learn more about EcoChile’s Dientes Trek program? Click here!